Take the words Aluminium, Security and Shutter, separately they’re just words, but together, the possibilities are endless. When it comes to privacy and protection, it’s a necessity in today’s harsh world. This is why, it’s essential to have security at all times, items such as pepper spray, a home alarm system and of course, Aluminium Security Shutters. You might be asking, how will this protect you from possible misfortuned circumstances? Well, keep reading to find out. It might just look like wooden panels, but in fact, it’s so much more than that. These Shutters provide the answer to all your home security problems, by giving you 24-hour safety, keeping your home burglar proof, while supplying your living space with sophistication and light control. It’s no wonder that there’s more than one type of Security Shutters. It gets the job done and at an affordable price too. 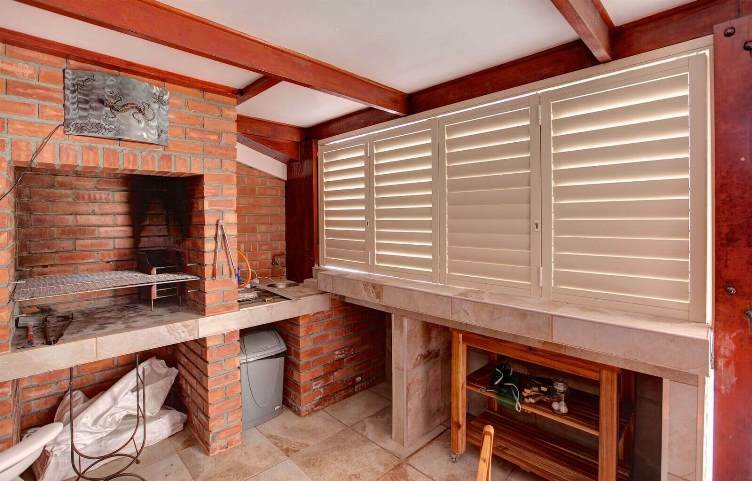 Some of these Shutters range from Bi-Fold, Window Hinged, Bathroom and Folding Doors. Each of these is stylish, affordable, and versatile. However, they differ when it comes to their specific application. This type of shutter operates using hinges which are commonly used on windows and doors. This fantastic product is ideal for entry sliding doors but can be used as room dividers, which can come in handy if you want to separate an office, the kids or husband from the TV. It folds away, so the view of your surroundings isn’t obstructed. It can be stacked upon without becoming damaged while keeping the sunlight out. Due to its versatile design, it’s able to sit 90 degrees from the opening, while still providing light, air and privacy into the space. While it is uncommon to install Aluminium Security Shutters in one’s bathroom, it serves an application for large bathroom windows and opening doors. Because of its sleek and modern design, it’s easy to clean, just wipe with a cloth, and that’s it. It’s hard to find a product that’s versatile, however, security shutters can be shaped and fitted to your specifications, while offering you various colours and textures. Hinged Shutters are the most popular shutter as it’s used as window coverings, however, can also be an alternative for doorways, if the correct material is provided and the proper application is implemented. The temperature may be controlled. In summer the air is trapped between the panels and the window. The design is custom-made, meaning it’s perfect for challenging areas. What is a Folding Shutter Door? This type of shutter is known for its series of panels, ranging between two and seven, which fold into themselves. It’s able to turn sunlight into a light-filled oasis. It’s the perfect way to join the inside of your home to the outside area. Opening up on patio spaces has never been easier. Whether you’re always at home or forever on the go, we at House of Supreme have something for everybody – Making your life more comfortable since 1999. This entry was posted in Security Shutters. Bookmark the permalink.